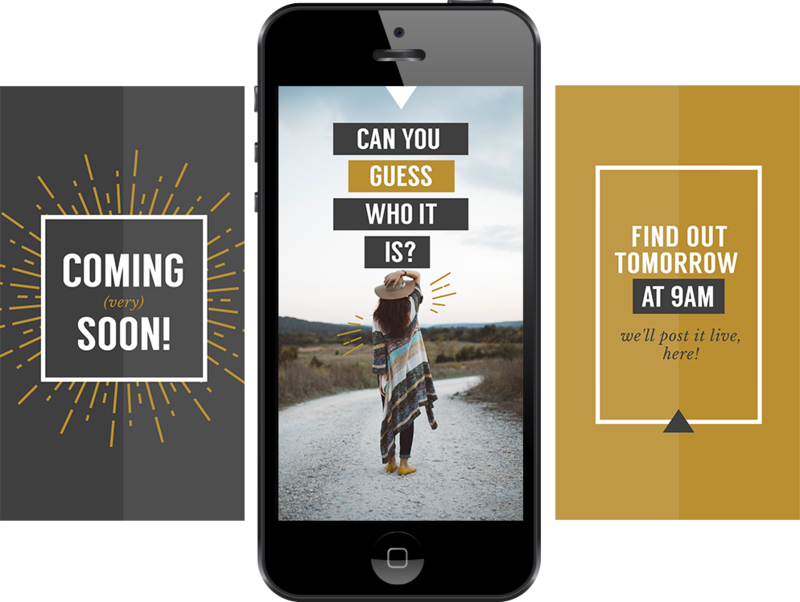 If you want your Instagram Stories to Stand Out then use Instagram Stories Templates! 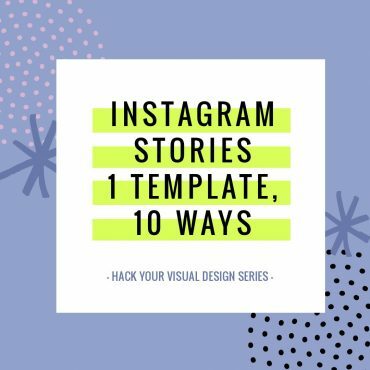 In this post we share 12 creative ways to use Instagram Stories Templates PLUS 12 free templates to get you started! Creating Instagram Stories in the moment is great, but sometimes you want to plan your content ahead and think about it a little! 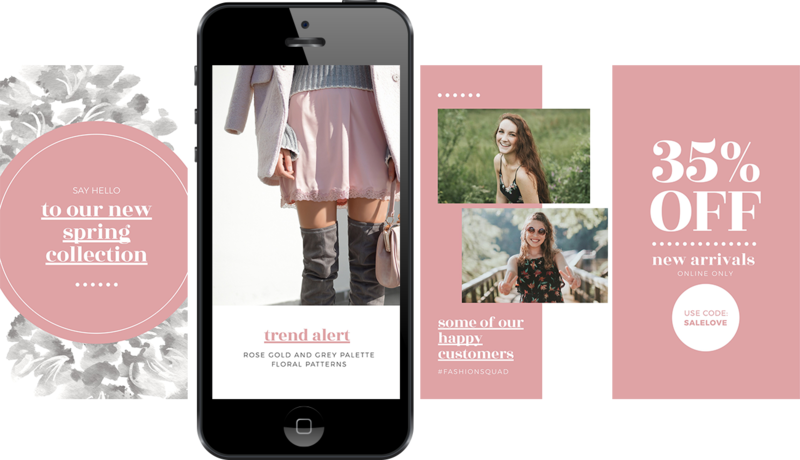 Instagram Stories Templates help you to storyboard your story, stand out, and attract more views and engagement. 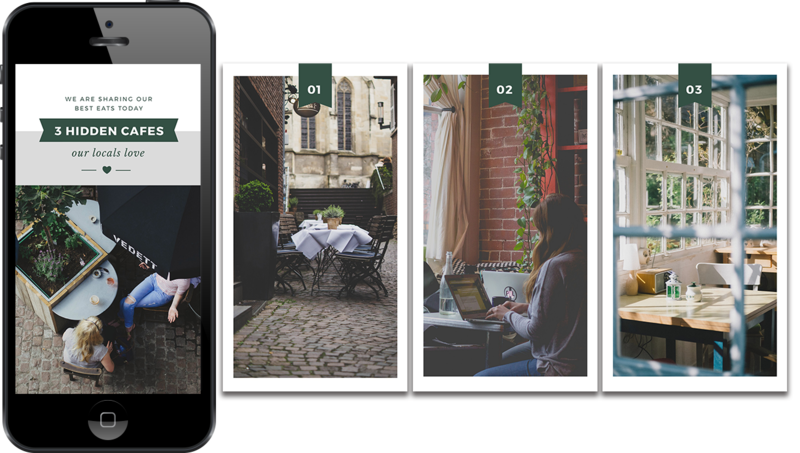 Lucky for you, our design wizards at Easil have launched a series of single and multi-image Instagram stories templates to help you roll out an engaging story. 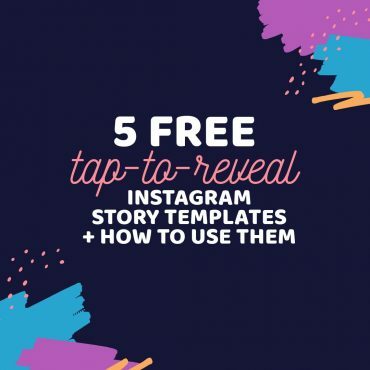 From Fan Photo Friday to Top 5 to Instagram Story Takeovers, our 12 super-handy links to each individual template will help you create awesome stories! Sign up for a free Easil 30-day trial account. Log into your account. Click on the image for the template you wish to use in the post below or go here to see our full list of templates. Once the template is open, click on the elements you wish to change, such as heading, captions, text, image/photo or colors. Click “Download” to download your finished template. Send to your phone via Dropbox or Email. Upload the image or images in order into Instagram Stories, add stickers, tags and text…. then post your story and start engaging! 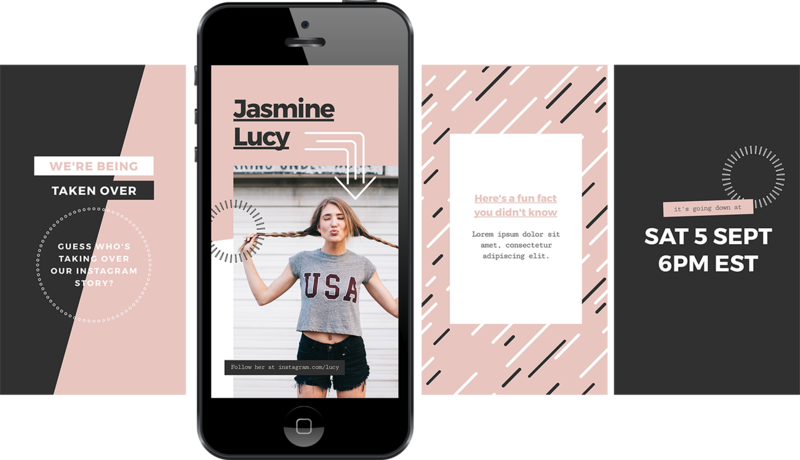 12 Stunning Instagram Stories Templates to Use Right Now! Instagram Stories that reveal a “Top 5″ or “Top 10” list can be very popular and encourage us to click through to reveal more content. This template is ideal for showcasing your expert authority on any topic while giving massive value to your fans. An Instagram story that showcases “tips” encourages your fans to click through for more of the story, building affinity with your brand. Find more “Top Tips” Templates here. A tourism operator sharing Top 5 Locations for travel or experiences. An entrepreneur giving 5 business tips. A health company sharing 5 Tips for Keeping healthy during winter. A food Instagrammer sharing 5 ingredients, or 5 recipes or 5 ways to make a an awesome smoothie… and so on. Don’t forget to tag other users and use hashtag stickers as well as location stickers – your content will be seen by more followers when you do. Use a mix of video and images in your tips. Some tips will lend themselves to a simple photo with text overlay. Others will require more explanation, so video is a better option. As you can see there are limitless opportunities for doing this and you can use 3, 5, 7, 10 tips – it’s up to you. Sharing fan photos via Instagram stories is a great way to showcase the content produced by your community and acknowledge them. This template is ideal for creating a cover image for your story, announcing that you are sharing fan photos and giving a call to action at the end. Switch out the color, font/text and image to customize it for your brand. Find more Instagram Stories Templates here. be sure that you get permission to share the content first. You can request permission with a simple DM or post in the comments section of the account you wish to share. But the most reliable way is to use a Rights Permission tool like Tack. Tack will keep a record of the permission in a media centre with the images. search on geotagged locations to find content to share around your business or area. search for content by hashtag in Instagram, or specifically ask your fans and community to share content based around a hashtag that is unique to your business. Choose a specific day of the week to showcase your fan content. Your audience will respond to consistency and will start to look for your content each week. Be sure to tag the creators with their image, and encourage your community to follow them. Humans love to be acknowledged. Create two images to “book-end” your fan photos: an introductory image announcing your curated fan images, and then a call-to-action image. For example, one image can say “Fan Photos” to announce what the story is about, and the second image will be an image you share at the end, wrapping up your fan photos, and asking your followers to join in next time by posting under a specific hashtag. If you go LIVE on Instagram it can be really useful to announce it beforehand on your Instagram Story, and even your regular Instagram feed. Giving your followers a heads up about the start time help more of them to remember to watch! Don’t let your fans miss your next Live Broadcast with this template! Find more Instagram Live Templates here. Remember that you may have a worldwide audience. Make sure you list the time zone for your Instagram Story so everyone (no matter where they live) can be ready to listen. List it as 2pm EST vs 2pm. Give some notice but not too much notice. Between 1 hour and 24 hours prior is usually best. Experiment with what works for you and your audience. Instagram Story Takeovers have become huge on Instagram. This involves an influencer or person or brand taking over your Instagram Story and posting content for you. They provide content in the form of images and video for you to post (to avoid handing over your password) and your team posts it for them. The end result is that your audience (and the influencer’s audience) are exposed to new content – a win-win for all of you. And it’s fun and creative! This template is perhaps our favourite, as it allows you to “announce” your upcoming Instagram Story Takeover in a really fun way. Announcement that an Instagram Story Takeover is about to happen. An image showing who will be taking over the Instagram Story. The time the takeover starts! Start your next Instagram Story Takeover with Style! Find more Instagram Takeover Templates here. The type of content they will post. the format of the content (images or video), and any preferred location/hashtag stickers or tagging. how you will share content to be posted (ie Dropbox folder). Let’s show the human side to your brand or business! One of the most attractive things about Instagram Stories for brands it that they allow your followers to take a peek behind the curtain and get to know the people behind the brand! Use this template to share the behind the scenes antics of your team. Your audience will love seeing what goes on with the people behind your business. Edit to a different focus if you need to! Edit this template to a different focus if you have a different aspect of your team, products or services to showcase! Find more Instagram Stories Templates here. If you are a sports team, show the week’s training and pre-game antics! Have your head chef show how to create your signature dish. Take us on a tour around your workplace and the inner workings of your team! Instagram Stories can be used to share a new product or service and give a “sneak peek” or exclusive. Don’t make every story about your “stuff” but when you DO have something amazing to share, it’s a great platform to showcase products or services. Edit this template to a different focus if you want to share a different aspect of your team, products or services! Find more Product and Service Templates here. Share excitement in the lead up to a launch… post daily stories! Share the behind the scenes of how your product or service evolved. Instagram Stories are perfect for sharing special or “breaking news” or an event announcement. Adding an image to announce that you have breaking news to share is a good way to catch attention before you announce it! Edit this to be a “save the date” or event announcement. Get creative! Find more Instagram Takeover Templates here. Breaking News can be a great way to dip your toe in the water of Instagram Stories. There are many brands that just purely focus on “news” in their story feed. If you are not comfortable with being on camera, trying sharing news on a daily basis to begin with. Share the lead up to an event by teasing content, announcing news, sharing the preparation! Here’s the thing about Instagram Stories – if someone makes it to the end of your story, that person is invested in your content and already has an affinity with you. Reward them! A great way to do this is with a discount or exclusive offer. Even better, make the offer just for Instagram Story viewers rather than your entire online community. It’s a great way to win over fans into loyal customers. Find more Instagram Stories Templates for Exclusive offers here. Ask people to come into your business to show the instagram story or screenshot of it. Provide an exclusive coupon or code. Ask them to “swipe up” (if you have story links activated on your account) to send them to a website to redeem the offer. If you produce a great new piece of core content like a blog or podcast, let your audience know about it on Instagram! Instagram Stories are the perfect place to announce new content. Find more “Blog Content” Templates here. Share your blog post on your main Instagram feed then refer to Instagram Stories to add context to your post with more information about the post! Share a few key points from the blog post in your Instagram story – then encourage them to dive deeper by reading it! Tag someone, encouraging your audience to click through and follow them. Encourage fans to “Swipe Up” on your story, to access a link outside of Instagram. Refer to a short link or bit.ly link, or direct users to click on the link in your Bio. (note: Swipe Up and Instagram Story links are currently only available for those users who have a verified account or over 10,000 followers). If there is someone new starting in your business, welcome them. If there is someone on your team doing a great job, introduce them. Just like the “Behind the Scenes” template above, this template helps you to create an Instagram Story that allows you to build trust with your audience, by helping them to know the people behind the business. Edit the color, image or text to tailor this template to your own branding style. 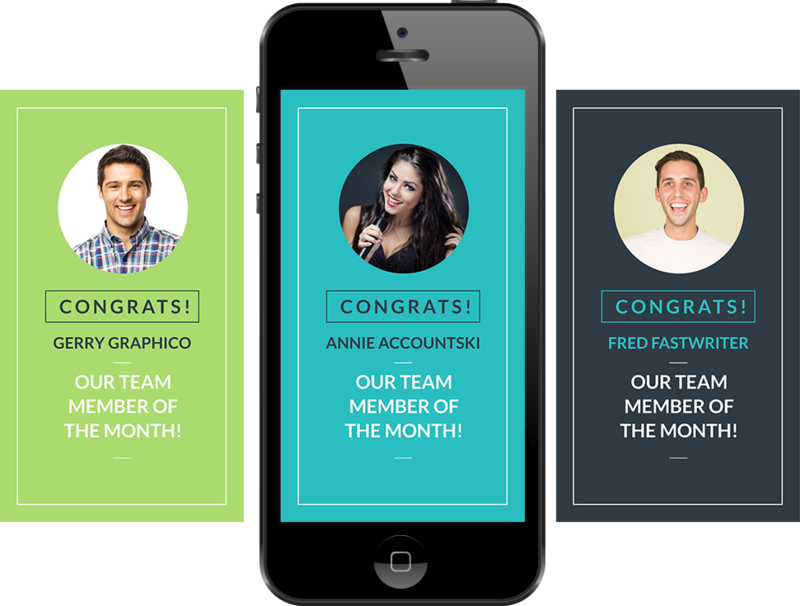 Find more “Team Member” Templates here. Share their “wins” ie employee of the week, achievements etc. Share tips from your employees! Let’s face it, quotes will always be popular on social media, on any platform. We love them for inspiration, motivation, learning. We also love that they make us laugh. So, of course it’s great to mix up some quotes and inspirational content in your stories. Use this template to share the words of others or perhaps your own musings… change it up to say whatever you want to say! A quote template can become anything you want it to become… change the text, the colour, the background image and your message can be completely customized. Find more “Inspirational Quotes” Templates here. These 12 free templates are just a taste of the templates we have ready for you to use in Easil. 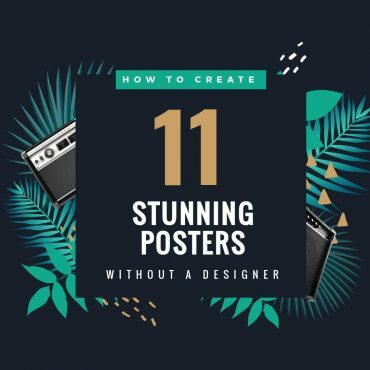 Start your 30-day free trial here, and take advantage of the dozens of Instagram Stories templates we have for everything from “tall” pinterest images to poster templates. Every image within a template is yours to use – no extra payments required. If you choose to upgrade to our Plus Level of membership you can access all the templates and the ability to easily resize your images for just $9 per month! What Instagram Stories Template do you like the most? Do you have any other tips for Instagram Stories? Please share your new creations with us by tagging #madeineasil on your Instagram Story. We’d love to share them!